The point of Vista’s Sync (synchronization) Center is to provide a central location for users to keep their files up-to-date. Where users have multiple devices, they need a mechanism to ensure then when files change on one device, they Synchronize with older versions of the same file, held on a different device. When a person updates a document on their laptop, they need to easily Synchronize the same document on their desktop computer. A key feature of Vista’s Sync Center, is that users can control their own settings, without having to call upon an administrator to perform the configuration. 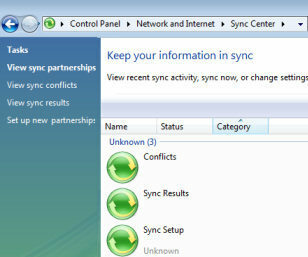 To inspect Vista’s Sync Center, launch the Control Panel, select the Network and Internet section, then Sync Center. Alternatively, you can navigate via the Start Button; select All Programs, expand the Accessories folder, now you should see the Sync Center. With Vista’s Sync technology you can synchronise not only files, but also music, photos and even contacts. If files change in both locations, then Vista displays an icon and reports a conflict in the Sync Center. It’s then up to you decide which file to keep, and which to over-write. Vista’s Sync does not maintain version control, for that you need a separate client / server product such as SharePoint Portal Server. Tip: Synchronize your files BEFORE your start working on them in the second location, that should reduce the annoying situation where both versions of the files have changed since the last synchronization. Errors are different and more serious than conflicts and warnings. The commonest cause of errors is that a device is not available, perhaps it loses its wireless connection, or its battery runs flat. For what ever reason, if one partner is unavailable, synchronization fails, and that triggers an error report. The Vista Sync Center support many portable devices, for example, such as mobile phones, PDAs, portable music players and digital cameras. The easiest way to check the Synchronization potential of a device, is to plug it in to your Vista computer and then look for its name in Vista’s Sync Center. Specifically, you are looking for the list of potential new sync partnerships. If the device does not show up in the Sync Center, see if the device has extra software, perhaps the best solution is to check the manufactures websites for downloads. One urban myth doing the rounds is that home editions of Vista don’t support the Sync Center. The truth is that both the Home Basic and the Home Premium versions, support synchronization. 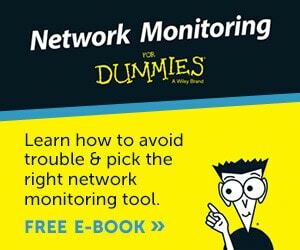 The only limitation is that neither version can connect to an share on a network server, such as Windows Server 2003. Remember that just with XP Home, Vista Home does not support joining a domain. Therefore, if you wish to communicate with network shares then you need Vista Business, Vista Enterprise or Vista Ultimate. You can trace the history Microsoft’s Synchronization technology, from Windows 95’s briefcase, through XP’s Offline files, now to Vista Sync Center. Each stage improves the ability to manage and match files at different locations. The bonus with Vista is that you can manage so many more devices, mobile phones, PDAs, digital cameras and of course, desktop computers.